Cedarwood Virginian essential oil is known botanically as Juniperus virginiana, and strictly speaking this species is not considered a true cedar. As the botanical name would suggest, it is actually part of the genus Juniper, which belongs to the Cupressaceae family. There are several ‘cedarwood’ essential oils extracted from trees of the Cupressaceae family and traded in commerce, but these oils are not as commonly used in aromatherapy as the familiar ‘atlas’ and ‘virginian’ types. 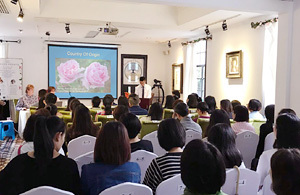 For example, Chinese cedarwood (Juniperus funebris), Texas cedarwood (Juniperus ashei) and Himalayan cedarwood (Cedrus deodara) are all used in the fragrance industry, but for various reasons they are not commonly used therapeutically. 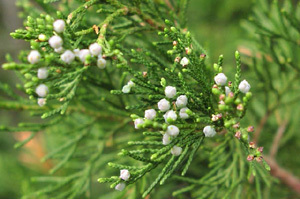 As well as being employed in aromatherapy, Cedarwood virginian essential oil is also used extensively by the perfumery industry in fragrance formulations for soaps, hair shampoos, aftershave lotions, men’s fragrances, deodorants, air fresheners, floor polishes, disinfectants and sanitation supplies. It is also used in food and drinks as a flavouring agent or enhancer. Also known as the Virginia cedar, Eastern red cedar and pencil cedar, Juniperus virginiana is native to the eastern United States and adjacent Canada. 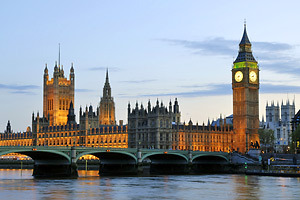 As far as essential oil production is concerned, United States is the sole producer. The Virginian cedar tree is a slow growing evergreen that can reach a height anywhere between 10 to 20 metres (33-66 ft) and displays a narrow conical habit. 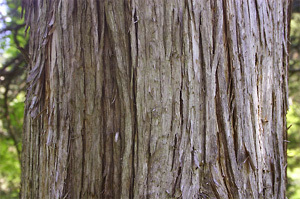 The fibrous shredding bark is reddish-brown or grey in colour with branches that are mostly horizontal, with a thin and scaling bark. The needle-like green or blue-green leaves grow in pairs, and berries appear in spring that change colour as they mature, turning from a greenish-white to a dark blue-purple colour with a fine bloom in autumn. The common name for this tree is derived from the beautiful fragrant heartwood, which is a reddish colour and highly valuable to the furniture manufacturing industry because of its special virtues. Virginian cedarwood has long been known to possess natural moth repelling properties which have been employed in cedar chests, wardrobes and closets, and its poles are highly resistant to decay when used for fence posts because of their durability and longevity in damp, wet soil. 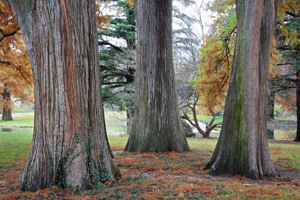 Native American tribes revered this tree along with other so-called ‘red cedars’ such as the Southern (J. virginiana var. silicicola) and Western red cedar (Thuja plicata). Tribes including Cheyenne, Blackfoot, Flathead, Crows, Nez Perce, Kutenai, and Sioux all employed parts of the tree for medicinal purposes. Leaves, twigs, berries and bark of J. virginiana were used in decoctions taken internally to treat respiratory and urinary tract infections, asthma, colds, fevers, tonsillitis, pneumonia and to encourage menstruation. Poultices of leaves and sprigs warmed on hot stones were also applied to treat rheumatic aches and pains, arthritis, backache and skin conditions. In later years these remedies were also used by the white settlers too, and eventually J. virginiana essential oil was included in the U. S. Pharmacopoeia. Symbolizing the tree of life and known as the ‘medicine tree’, the wood was believed by some tribes to have been blood-stained by a powerful magician and it became sacred to them. It was burned in rituals, purification ceremonies and sweat lodges to drive away negative spirits and bring prophetic visions. On a more practical every-day level, cedarwood strips were used to weave storage bags and finely twined mats or partitions, and sachets were used to protect ceremonial head-dresses from insects. The Cheyenne made flutes from the wood, but it appears it was the Western red cedar (Thuja plicata) that was most commonly used to make totem poles. The prime source of wood today for the production of oil is the waste from cedar furniture manufacturing factories, as well as tree stumps, chipped logs, shavings and sawdust. Cedarwood virginian essential oil is extracted by distillation and yields a slightly viscous, yellow-amber coloured essential oil. It has a fresh, slightly sweet, woody, pencil-like aroma, with a balsamic dry-out note that makes an excellent low cost fixative in perfumery. At cool temperatures, crystals of cedrol often form in the essential oil, but this is quite natural and they will usually dissolve when the temperature returns to around 16 degrees centigrade. In aromatherapy, cedarwood virginian essential oil is used in massage blends to treat muscular aches and pains, painful joints, rheumatism and arthritis. It is particularly beneficial when blended with Roman or German chamomile essential oils when it’s used in massage treatments. Although it is milder in action than juniper berry essential oil, it has similar cleansing and purifying properties and has a stimulating action on the kidneys and bladder. This means it produces an effective synergy that encourages the elimination of uric acid and relieves the symptoms of arthritis and rheumatism when blended together with chamomile Roman or German for body massage and bath soak treatments. The astringent and antiseptic properties of cedar Virginian essential oil are ideal for for soothing acne, spots, and oily skin conditions when it is blended in a base lotion or cream. If you suffer from dandruff or a very dry scalp that is shedding white flakes, add it to a shampoo base to improve the condition of both your scalp and hair. Cedar Virginian essential oil is a surprisingly effective decongestant that clears blocked sinuses and helps to ease coughs due to its gentle but effective antispasmodic action. Like the wood, the oil is an effective insect repellent, particularly when blended with other insect repellent essential oils like citronella, lemon eucalyptus, lemongrass, or catnip. Considered a base note, cedar virginian essential oil blends well with bergamot, chamomile roman, clary sage, cypress, frankincense, jasmine, juniper berry, neroli, patchouli, petitgrain, rose, rosemary, sandalwood, vetiver, ylang yang. It works especially well for blends where rose or jasmine predominates. Many aromatherapy books state that cedarwood virginian oil is an abortifacient, without providing any evidence in support of this claim. As is often the case, this information is being re-quoted from older herbal references where it had been confused with the related species of Juniperus sabina, which is a known abortifacient if taken internally in sufficient quantities. 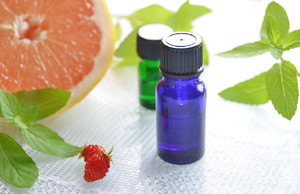 However, it is not common knowledge that essential oil of J. virginiana is an approved flavouring ingredient, and this would certainly not be possible if it was considered unsafe in any way. See Quinessence Cedar Virginian Essential Oil. 'Texas' cedarwood essential oil (Juniperus ashei) is similar to the Virginian oil, but it has more smoky, less-refined aroma. 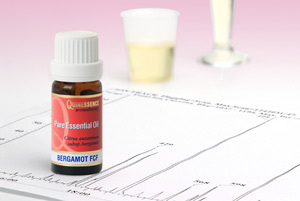 Because it is cheaper it is sometimes passed-off as Virginian essential oil to inexperienced essential oil traders. Chinese cedarwood oil has an even more smoky aroma, with a burnt note that is quite unpleasant. Since both Texas and Chinese cedar essential oils are cheaper than the Virginian they are often used in fragrance formulations for inexpensive soaps and household cleaners etc. Due to its sweeter woody-balsamic aroma, Virginian cedar oil is the preferred low-cost fixative in the perfumery industry, and it is used in fragrance formulations for a wide range household products, shampoos, and perfumes. Cedarwood Virginian grows on dry hills or deep swamps from Maine westward to the Rocky Mountains, and from Vermont to the Gulf of Mexico. It is most abundant and vigorous in the southern areas. The bark of Virginian cedarwood peels off in strips that were woven into mats and used to make fine lacings and ties by Native Americans. The interior wood of the tree is a reddish color and considered to be highly valuable on account of its great durability.